Here is a template of an iteractive PowerPoint screen that can be used as a page within a PowerPoint e-learning / tutorial package, or as an adapted stand-alone projected exercise in a classroom environment. 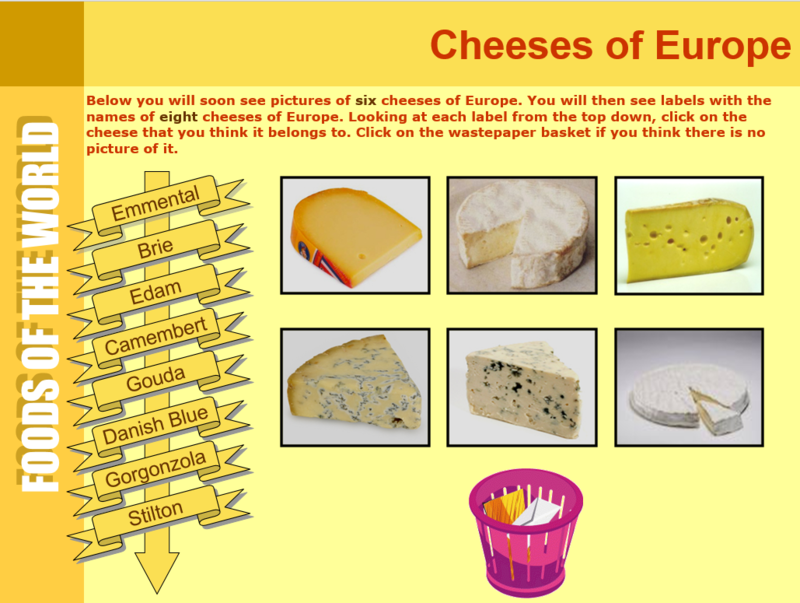 This Flying Banners template uses the theme of 'Cheeses of Europe', but the banners and pictures can be easily adapted to a wide range of learning topics. Just change the words in the banners and the pictures. The layout here is basic, but the guts of it can be copied and pasted to fit with many different types of background template.